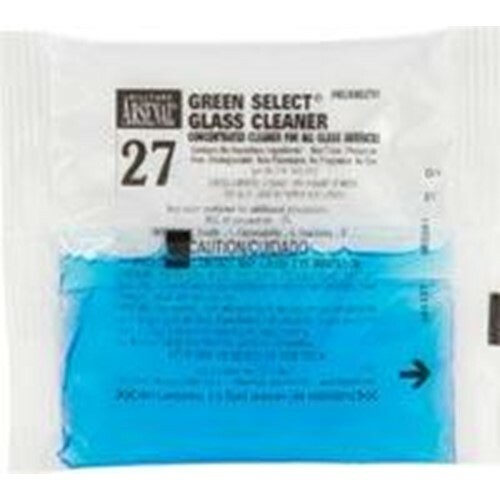 Green Select Glass Cleaner is formulated to be non toxic, phosphate free,, biodegradable, nonflammable, and with out dye, fragrance, and hazardous ingredients*. Hillyard Green Select products are formulated to minimize the impact on the environment, reduce the risk to human health, and at the same time improve worker safety. Dilution rate 1.5 oz per quart, 6 oz per gallon. Case Specs: 72 - 1.5 oz. Packets per case, sold as one case.